As March is approaching, with this fragrance of Holi celebrations are around the corner. Holi, the festival of colors signifies joy and merriment in which all old rivalries are forgotten and people move ahead in their lives. Holi has a special bollywood connection too. Bollywood has given many songs for the holy celebrations. Holi party is never complete without Holi special numbers from bollywood. Holi brings friends, family our near and dear one close together and it marks the beginning of summer season too. Celebrating Holi means dancing on top bollywood numbers, smeared in colors and eating bhang pakoras and thandai with friends till the evening. All the persons are smeared in Holi colors looking same. Bollywood has a long history of Holi songs like in sholay and silsila in earlier days to latest bollywood flicks like in “Badrinath ki Dhulania” starring Varun Dhawan and Alia Bhat and “Ye Jawani Hai Deewani” starring Deepika Padukone and Ranbir Singh. The latest released Holi song of “Badrinath Ki Dhulania” Starring Varun Dhawan and Alia Bhat is the peppy number that is currently at the top spot with so much craze building up around Holi celebration .Youngsters feel more connected to this song and liking the song very much these days. It gives a modern transformation to old traditional Holi songs as was the case before. What make it more special is the amazing chemistry between Varun Dhawan and Alia Bhat. 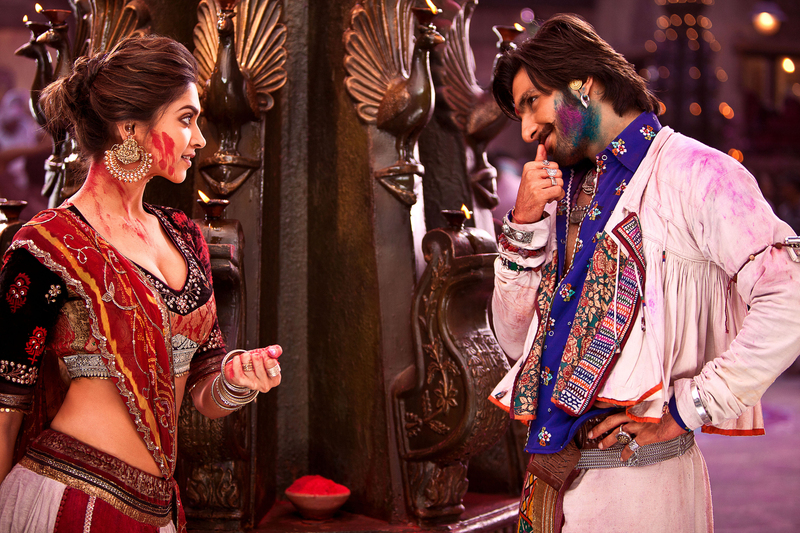 Balam Pichkari Holi song features Deepika Padukone and Ranbir Singh, looking so fabulous together in this Holi special peppy number. With perfect beats and sounds it has become favorite of all groups. It adds a sparkling modern touch to the song .It is beautiful song that refreshes the entire old memories related o the Holi too. Holi Khele Raghuveera is the Holi song shot on most beloved actors of bollywood Hema Malini and Amitabh Bachchan which makes it special at the first place itself. Moreover, another specialty of this bollywood number is its old traditional charm that it takes with it. It is modern but yet traditional too and cherry on the top is the amazing chemistry between Amitabh Bachchan and Hema Malini. Rang Barse is most loved old bollywood classic shot on Amitabh Bachchan and Rekha. It is in the voice of Amitabh Bachchan and it is so infectious that if you listen it one time, you will want to listen it again and again. It is the gem among all Holi songs and you will always find it in every person’s Holi playlist. Another reason which makes it so loved is the amazing chemistry between Amitabh Bachchan and Rekha. It is a classic. Another song which also always finds place in Holi songs playlist is this amazing track filmed on superstar Rajesh Khanna.